Registered Massage Therapists in Victoria B.C. 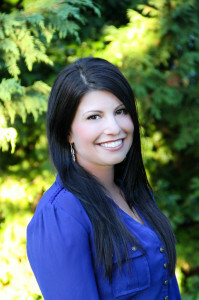 Jessica Bundy is a Registered Massage Therapist who graduated from the Victoria from the West Coast College of Massage Therapy Over the past 6 years, she has worked in various multidisciplinary clinics in Victoria, B.C. Jessica is a dedicated and caring therapist, aiming to treat her patients as a whole. Her approach to treatment includes a full assessment, hands on treatment, and homecare. She uses a wide variety of treatment modalities which are suited to the patients needs. These include, but aren’t limited to, Myofascial Release, Deep Tissue Massage, Trigger Point Therapy, Muscle Energy, Stretching, and Therapeutic Exercise. She aims to encourage all patients to keep active and have body-awareness in their everyday lives. Some areas of massage that interest Jessica include pre/post natal massage, infant massage, rehabilitation, sports massage, and relaxation treatments. Jessica’s preferred areas of practice include the head and neck, treating muscle tension causing headaches, whiplash, and to relieve sinus congestion. I also enjoy treating the hip flexors, the abdomen for constipation and other digestive issues, and the gluteal muscles for Sciatic nerve compression and other issues. She has taken a Pilates Core Strengthening course as part of her continuing education, and uses her knowledge to incorporate exercises into treatment and homecare. Jessica has also completed post graduate work on Myofascial & Joint Release through Structural Integration for the Pelvis and Lumbar Spine. In her free time, she enjoys keeping fit, particularly with riding her bike and taking yoga classes. She is a lover of the outdoors, and camping, hiking and swimming are great pastimes in the summer months. Jessica is excited to become a part of Shelbourne Physiotherapy’s diverse team of health-care professionals, who all work together to encourage well-being and health to all patients. She loves working with people and helping them reach their goals of better health. Kathy is a Registered Massage Therapist who graduated from the West Coast College of Massage Therapy in Victoria, B.C.. She brings a broad range of knowledge and interests to her practice. Her interest in health, human anatomy and physiology started with a Diploma in Recreation Leadership, Personal Training and the birth of her children. Kathy was a competitive swimmer in her youth and over the years has been engaged in a variety of athletic pursuits such as hockey, triathlons and running. Massage therapy is an effective approach to pain management and rehabilitation. Treatments include a full assessment, hands on treatment as well as home care. Kathy uses a wide range of techniques including deep tissue massage, muscle energy, myofascial techniques, joint mobilizations, trigger point therapy, hydrotherapy, and therapeutic exercises. Helping people stay active and pain free is what Kathy tries to help accomplish within her treatments. She is excited to be working as a part of a diverse team of professionals at Shelbourne Physiotherapy that promotes health, supports people in pain management, rehabilitation, achieving goals, and encourages a well-balanced lifestyle to all clients. Some areas of Massage Therapy that interest Kathy are Sport and Exercise Massage, Rehabilitation Massage and women’s health. Kathy is currently working towards certification as a Corrective Exercise Specialist through the National Academy of Sport Medicine (NASM). This certification is a comprehensive injury prevention training program based on evidence based research. To learn more please click National Academy of Sport Medicine. 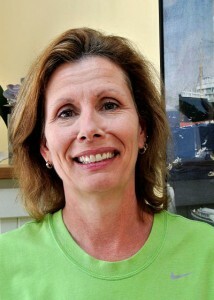 Kathy works closely with TriStars Training Limited, a Victoria, British Columbia, swim, bike and run coaching company. Kathy is certified in Level 1 and 2 for Kinesio taping. This tape is extremely versatile in its ability to facilitate healing and prevent injuries. Kinesio Taping gives support and stability to your joints and muscles without affecting circulation and range of motion. It is also used for Preventive Maintenance, Edema, and to treat pain. The Kinesio Taping Method is applied over muscles to reduce pain and inflammation, relax overused tired muscles, and to support muscles in movement on a 24hr/day basis. It is non-restrictive type of taping which allows for full range of motion. In contrast, traditional sports’ taping is wrapped around a joint strictly for stabilization and support during a sporting event obstructing the flow of bodily fluids as an UNDESIRABLE side-effect. To find out more please click Kinesio taping. 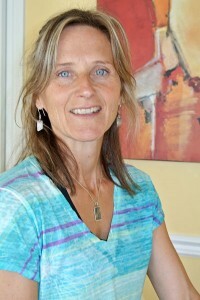 Kathy Pantalon is a Massage Therapy Instructor at the student clinic at the West Coast College of Massage in Victoria. Kathy is accepting new patients. She has convenient morning, afternoon and evening appointment times available. Kathy Pantalon practices at our main Victoria Physiotherapy, Massage Therapy & Pilates Clinic located at 120-3200 Shelbourne Street, Victoria, B.C., V8P 5G8. To book an appointment please call 250-598-9828 extension 1. We are pleased to welcome Rebekah Neubert to our team! Rebekah graduated the West Coast College of Massage Therapy on December 7, 2012. The program, which spanned over two and a half years, totaling 3000 hours. To further her education and practical abilities, she has enrolled and is currently studying at the Canadian College of Osteopathy. This has allowed her to continue to be challenged as a practitioner, to a “whole body” viewpoint and allow a perspective of body unity, versus compartmentalized treatments. Knowledge towards a balanced treatment approach will restore homeostasis in the vital systems of the body (musculoskeletal, cardiovascular, neurological, cranial and visceral). This skillset advancement will encourage a mature ever-evolving practice from a practical and personal level. Rebekah was born and raised on Vancouver Island. She is passionate about living an active, healthy lifestyle. In her spare time she enjoys hiking, running, reading and socializing. She is excited to continue to progress her cognitive and physical skill sets, in order to develop a necessary platform, in which to further my ability to treat a diverse and complex cliental base. Rebekah works at our main Victoria Physiotherapy, Pilates & Massage Therapy Clinic located at 200-3200 Shelbourne Street, Victoria, B.C., V8P 5G8. Rebekah is accepting new clients. To book an appointment please call us at 250-598-9828. Unfortunately, Rebekah does not provide treatment for WorksafeBC claims. Molly is enthusiastic about health and well being and greatly enjoys helping others discover and maintain these aspects of their own lives. She particularly enjoys the great outdoors and can be found playing outside when not working. Molly spent her early 20′s pursuing a passion for surfing while living in Tofino and Ucluelet BC and continues to travel for the sport to this day. While living in Tofino Molly worked as a surf instructor where she realized her passion for facilitating the joy of sport, play and overall well being in others. Recognizing that many people are held back from this by bodily discomforts and injuries Molly decided to pursue a career in health, ultimately deciding on Massage Therapy. As a Registered Massage Therapist (RMT) practicing in Victoria, Molly’s approach is attentive and sensitive to each individual’s particular needs. She believes that with the wide array of techniques available within massage therapy every client should be able to experience the therapeutic benefit of massage while also enjoying their time on the table. 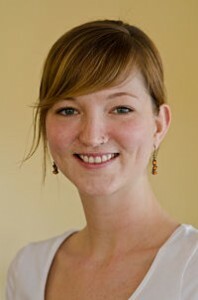 Among other Massage Therapy techniques, Molly uses Myofascial Release and Swedish massage combined with specified deep tissue techniques and trigger point therapy. Having suffered from migraine headaches from a young age and a severe whiplash injury at age 24, Molly takes a keen interest in helping people find relief from headache and neck issues. She has also taken a special interest in TMJ discomfort (which often accompanies neck and head issues) employing intra-oral massage work when indicated. Molly is currently working toward her Bachelor of Health Science degree and since graduating from the 3000 hr RMT program here in Victoria in 2009 she has taken additional courses in Orthopaedic Manual Therapy and Assessment. Molly has recently moved back to Victoria after time in Dawson Creek and Vancouver BC and is excited to be a part of the Healthcare team at Shelbourne Physiotherapy & Massage Clinics. 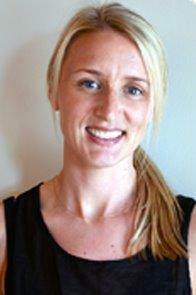 She looks forward to helping facilitate clients optimal health and well being. Molly is committed to working closely with each client to assist and facilitate them in achieving their specific health goals and general wellness. To meet each client’s individual needs, she believes in drawing from diverse modalities and blending a variety of effective techniques including assessment, core building, deep tissue massage, trigger point release, breathing, exercise prescription and stretching. Molly loves that Massage Therapy gives her the opportunity to work with a diverse group of clients in the greater Victoria region. She enjoys facilitating activity good health and balanced lifestyles as well as rehabilitation, pain management, sports injuries and post surgery recovery. Molly Scott treats patients at our main Victoria Massage Therapy Clinic located at 120-3200 Shelbourne Street, Victoria, B.C. V8P 5G8. To book an appointment with Molly please call our reception desk at 250-598-9828 ext. 1. Molly is accepting new patients. She has convenient afternoon and evening times available. Hello! 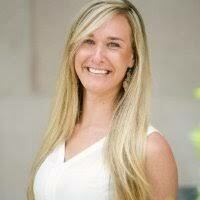 My name is Taryn Krizan and I am a Registered Massage Therapist. I am proud to be a member of the College of Massage Therapists of British Columbia and I have been massaging since 2003. I have experience in a therapeutic and sports clinic working alongside chiropractors and a physiotherapist. The clinic drew a diverse clientele, giving me extensive experience with pregnancy and migraine patients. I have training in Myofascial Release and Shiatsu, which I can incorporate into my typical Deep Tissue treatment. I have additional training in Craniosacral Therapy, Aromatherapy, Active Isolated Stretching, Reiki and I am a certified Reflexologist. I became interested in Massage Therapy by accident: its amazing healing power was revealed to me while I was treated for injuries from two separate automobile mishaps. Also, my massage therapist was someone who really loved her job! Having a love of sciences with an electronics – design background (energy and systems), it made perfect sense to move forward into a role as a Massage Therapist (energy and systems). Each treatment is personalized and will draw from a variety of areas of my education and training. My intention is to provide you with a holistic treatment – working with your body’s innate ability to heal itself. I also believe the best course of action is injury prevention and self – maintenance and I would love to work out a treatment plan with you. When not massaging you could probably find me spending time with my amazing family, digging in the dirt, walking Miss Stella and Luna my terrier friends from Boston, renovating or even kick boxing. I am always up for the challenge! Let me support you and let Massage Therapy be a powerful ally in your healthcare regimen. All ages are welcome! Taryn Krizan treats patients full time at our Cook Street Physiotherapy & Massage Therapy Clinic located at 308-1175 Cook Street, Victoria, B.C., V8V 4A1.